The Ukrainian Helsinki Human Rights Union has presented the progress in the implementation of the Action Plan to the National Strategy; experts in various areas have explained why it is going so badly. According to the information provided by UHHRU, out of 402 measures of the Action Plan to the National Human Rights Strategy that had to be implemented by June 30, 2017, only 88 were fully implemented, 41 – partially implemented, 171 – are being implemented, 102 – not implemented. The Ministry of Justice is the worst agency in implementing the National Strategy (22 measures have not been implemented), and the best agency is the Ministry of Social Policy (35 measures have been implemented). Only one measure was implemented by the Ministry of Culture, which failed the implementation of 6 measures. At the same time, such areas as “Ensuring the rights of the child” (16 measures) and “Ensuring the right to work and social protection” (10 measures) have been implemented the best. The majority of not implemented measures (21) is in the area of ​​”Combating torture …” and “Ensuring the rights of IDPs” (14). Bohdan Kryklyvenko, Head of the Office of the Ukrainian Parliament Commissioner for Human Rights, said that two years have passed since the National Strategy had been signed, so far there are no questions about the text of the Strategy, but there are a lot of questions about its implementation. “We have to use any national and international means to ensure that this strategy does not remain a declarative document, because the level of its implementation is extremely low so far. Just like a year ago, today 25% of the National Strategy is completed. Because of this, the human rights environment loses interest in this document,” he said. 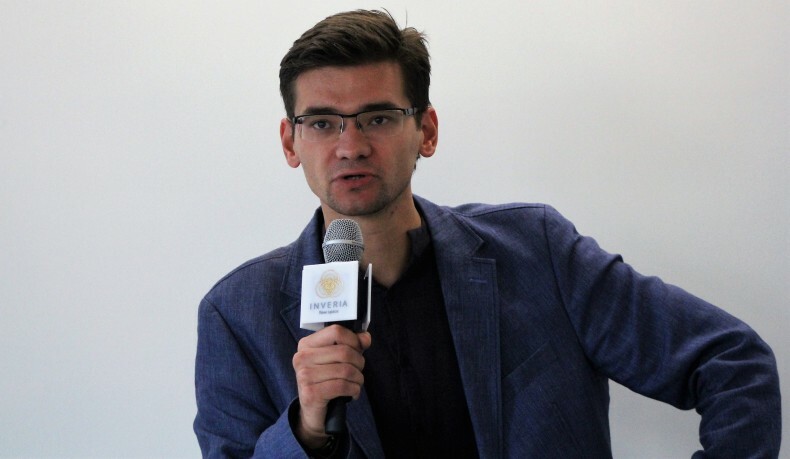 Arkadiy Bushchenko, Executive Director of the Ukrainian Helsinki Union, agreed that, unfortunately, the implementation of the National Strategy today is at the low level. “Two years passed after the Strategy had been signed, so public authorities and community activists can refuse to implement it because what was planned in 2014 is no longer relevant,” he expressed his fears. Arkadiy Bushchenko believes that it’s time to think, whether there is a need to change the direction of this strategy? 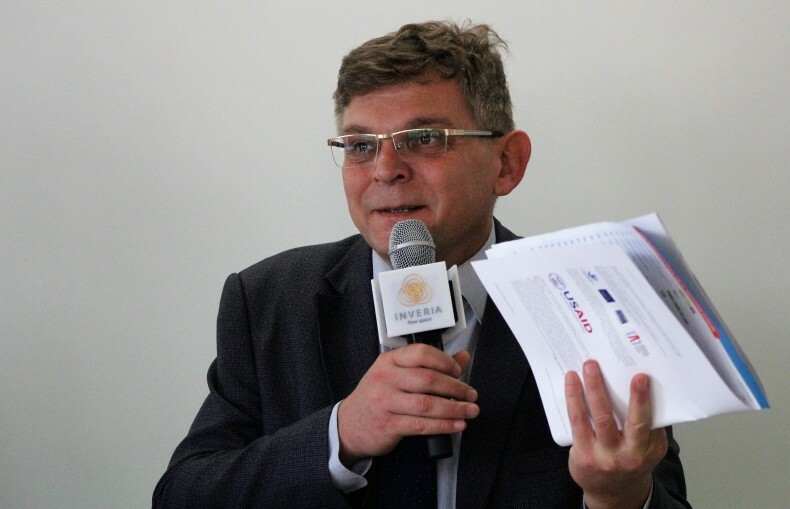 “Criticism of the Plan will attract greater attention to human rights than just the formal implementation of the National Strategy,” said Arkadiy Bushchenko. 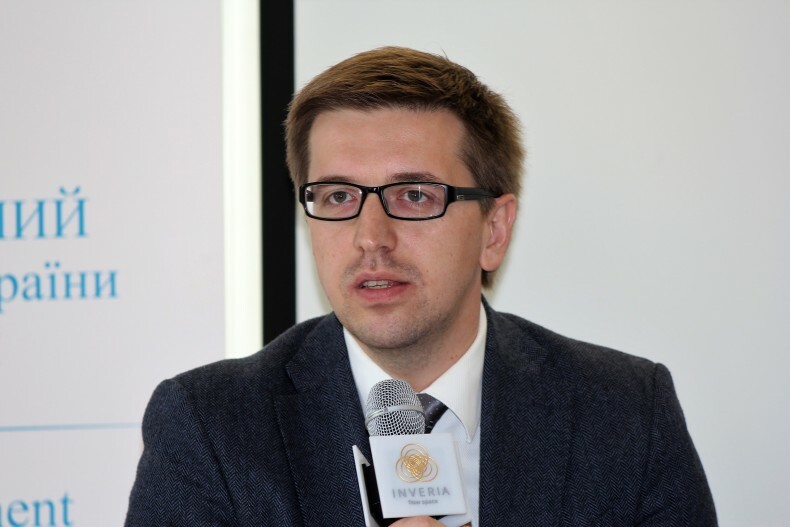 Oleksandr Yevseiev, a scientific advisor to the Constitutional Court of Ukraine, told how the constitutional complaint is being introduced in Ukraine. “Before citizens also filed complaints to the Constitutional Court, but before they could ask CCU solely about the explanation of a particular article of the Constitution or a law of Ukraine, but they could not ask judges to declare a certain law unconstitutional and to deprive it a legal force. Now every citizen of Ukraine has such a right. Unfortunately, in contrast to Germans, for ex., Ukrainians have only the right to a partial constitutional complaint: they can complain only about separate laws, and not about any other regulations and court decisions. In addition, there is one more limitation: one can complain only about the law that has already violated the constitutional rights of a particular citizen,” he said. 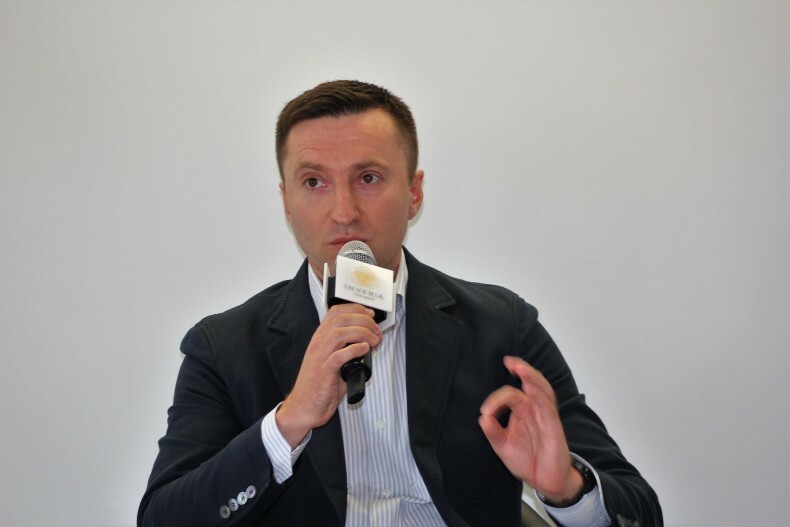 At present, according to Oleksandr Yevseiev, 161 complaints have been filed to the secretariat of CCU. None of them has been considered yet, but on September 4, 2017, judges-speakers began to review the texts of these complaints. But not all of them will be taken into consideration: only 8-10% of the total number of complaints fully meet the admissibility criteria. Oleksii Boniuk, Acting Director of the Coordinating Center for Legal Aid Providing, spoke about how good and available free legal aid is provided in Ukraine. According to him, from the beginning of the year, more than 350 thousand Ukrainian citizens applied to the system of free legal aid. About 20% of them were represented in courts. “Since the new year, the circle of people who have the right to provide such assistance has significantly expanded. Our system is also focused on ensuring the legal capacity of territorial communities and individuals. 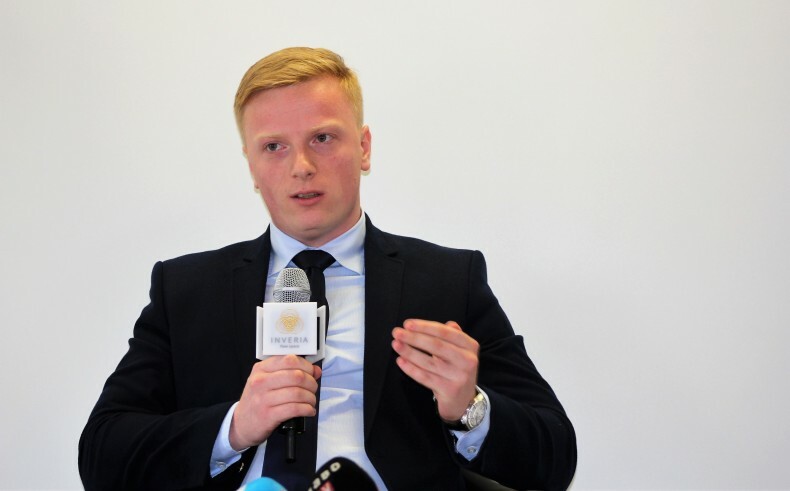 In doing so, we create resource and communication platforms that will soon be opened in Dnipro, Odesa, Lviv, Kharkiv, and Kyiv,” said Oleksii Boniuk. Vadym Chovhan, an advisor on Legal Reform of the European Union Advisory Mission, spoke about the ratification of the European Convention on the Compensation of Victims of Violent Crimes. According to him, the offender simply cannot pay compensation for the damage caused by crime, even by a court decision, since it is usually a poor person who does not have any substantial property. Then, deductions from the penitentiary institution, where the convicted person lives and works, begins. Practice shows that it is possible to collect very small amounts of 10-20 hryvnias per month. According to statistics provided by Vadym Chovhan, in Lviv Oblast, there were claims for the reimbursement of UAH 5.8 million. Of these, only UAH 230 thousand were reimbursed, or about 4%. “If the offender has no money, the responsibility to pay compensation for the damage should be taken by the state, because the state is also to some extent responsible for the crime that was committed,” said Vadym Chovhan. Unfortunately, according to the adviser, the Convention on the Compensation has been ratified, but has not yet been implemented: Ukraine does not have a law that would envisage who, to whom and how much should be reimbursed. There is only a draft, because without it, it was impossible to ratify the Convention. “According to our information, the Ministry of Finance does not agree with this bill, because they have to bear the costs. We estimated that the maximum amount of compensation for all victims of violent crimes in 2016 would be UAH 110 million, the average – UAH 59 million. We are talking about 11 thousand victims. If there is no law, most of them will never see this compensation,” said Vadym Chovhan. 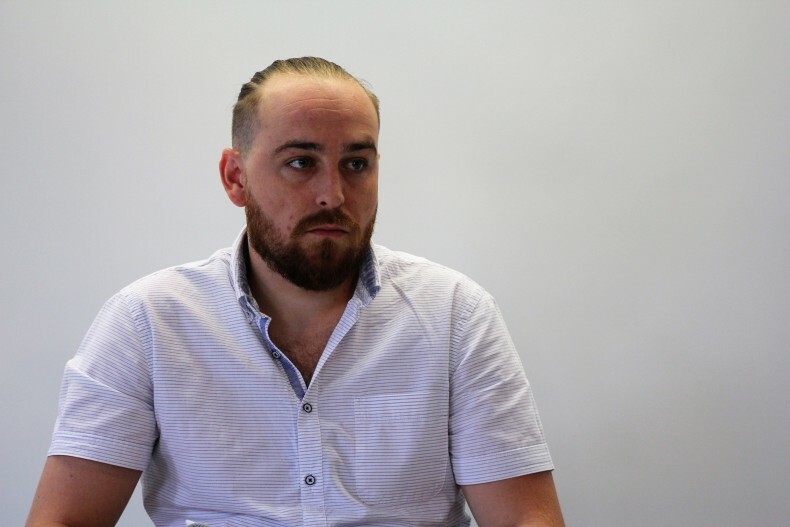 Ivan Yurchyk, an expert of the Association of Ukrainian Human Rights Monitors on Law Enforcement, spoke about certain aspects of providing an effective investigation of crimes related to torture. According to him, the State Investigation Bureau is currently having many organizational and financial problems. For example, there are not enough skilled workers and polygraphs. 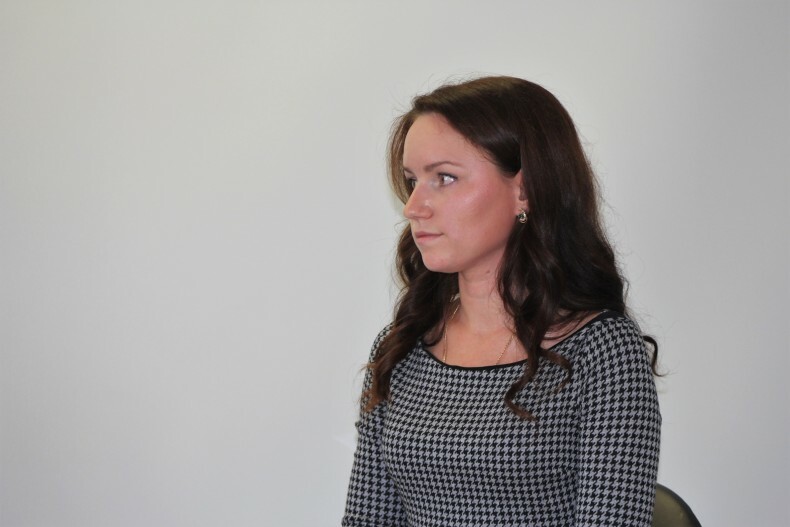 Alina Pavliuk, a lawyer of the Strategic Litigations Center of UHHRU, spoke about the investigation of crimes in the zone of ​​the anti-terrorist operation. According to her, on September 3, 2015, at the Chief Military Prosecutor’s Office, a special department was established to investigate crimes against peace, security, humanity and international law and order. This department is engaged in all affairs related to war crimes and armed aggression of the Russian Federation in the territory of Ukraine. Alina Pavliuk believes that only such a department should deal with investigations of such crimes, and, besides it, it should not be done by any other state agency. “Due to the fact that other units of the National Police that do not know the situation in the ATO zone are involved in investigations, we have many cases of ineffective investigations. In addition, our legislation is not adjusted to the Rome Statute. It also makes the investigate much more difficult,” said Alina Pavliuk. 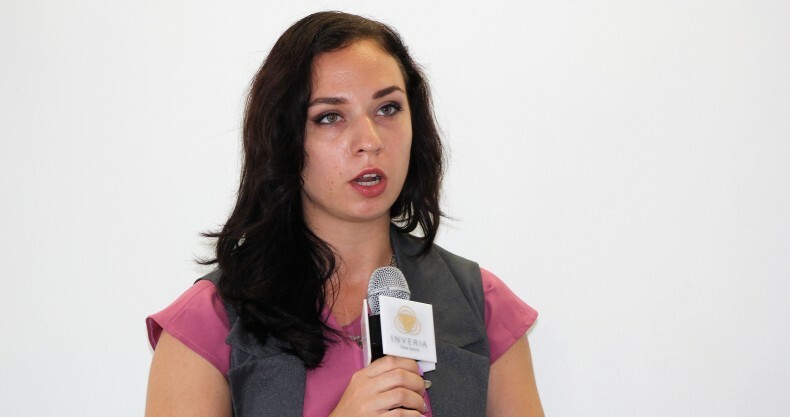 The coordinator of the monitoring of the implementation of the National Strategy Ksenia Semiorkina expressed the hope that the presentation of unsatisfactory results of the Strategy’s implementation would attract more people to this problem and, therefore, it will be possible to ensure the human rights in Ukraine jointly.